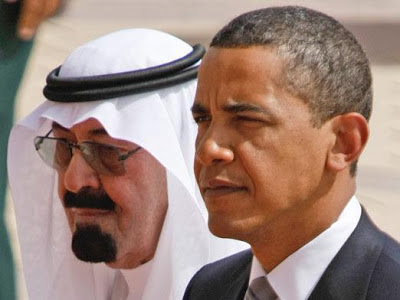 ArabSaga: Riyadh let down by the U.S. or its foreign policy? Riyadh let down by the U.S. or its foreign policy? Dr. Khalid al-Dakheel, a Saudi academic with a PhD from the University of California who teaches political sociology at King Saud University, uses these quotes to introduce his think piece today for the pan-Arab newspaper al-Hayat. Has anything changed in the eight years since Prince Saud al-Faisal’s 2005 remarks at the Council on Foreign Relations? America is still likely to disappoint the Saudi foreign minister further. Eight years on, the U.S. under a Democratic administration seems to be giving an indifferent shrug to the killings and ruinations in Syria. President Barack Obama is busy with Jabhat al-Nusra -- not the daily death toll, or Iran’s intervention, or Russia’s sponsorship of the regime in Syria. Significantly, the president is not too concerned about the fallouts on America’s friends in the region. The fact Israel is contented with his handling of the Syria war on her doorstep is telling -- the two share a concerted Syria policy. One of them is that Saudi weight on American policy in the region seems lacking and incommensurate with the breadth of political, security and economic interests shared by the two allies. For instance, Washington under the Bush Administration chose to jump into bed with Iran on Iraq. The fact this did not change under Obama shows Washington does not allow its relations with allies to impede its freedom of action and choice, even when the ties do not coincide. Prince Saud al-Faisal’s 2005 remarks prove Washington ignored Riyadh’s interests when it formulated its Iraq policy during the occupation. It is doing the same thing now under the Obama Administration as concerns Syria. Unlike Riyadh, Obama continues to dither on supporting the Syrian revolution. The two agree on excluding Assad from the new Syria but differ on the way -- and the time it would take -- to do it. They equally don’t see eye to eye on post-Assad Syria or Iran’s role in all of this. Is Saudi Arabia undermining its status and political interests to sustain this relationship more than it is getting in return? Why is Washington paying no heed to Saudi, Gulf and Arab interests in determining the U.S. stand on the Syria war? Iran is the only side holding on to Assad because his fall would wreck her regional ambitions. Israel, which cohabitated with the Assads for 40 years, is happy with the devil it knows. It is also happy to see the Syrians continue exterminating one another. But how can the man who entered the White House as the champion of justice, freedom and equality turn his back on the oppressed Syrian people? 1. The hemming and hawing nature of his foreign policy and his inability to shake off the legacy of Bush’s wars or tell apart Iraq’s case from Syria’s. 2. His rock-solid dedication to Israel’s interests. 3. His twin committals to a political solution of the Syria crisis in partnership with Russia and to a political deal with Iran. So what is the nature of his planned understanding with Iran? What are its borderlines? What does it aim to achieve? How will it affect the political situation in post-Assad Syria? America’s Iraq policy since 2003 shows Washington is familiar with the sectarian schism in the region and wishes – since 9/11 – to take the edge off Sunni clout in the region. That’s why it handed power in Iraq back then to Iran’s Shiite allies in Baghdad. Is the Obama administration’s stand vis-à-vis Syria a follow-on objective in another place, in different ways and under dissimilar pretexts? Saudi Arabia’s interests as regards Syria are twofold: the regime’s fall and Iran’s exit. America’s stance puts the kingdom on the spot after the abject frustration of its Iraq, Syria, Lebanon and Arab-Israel foreign policies. The kingdom’s Iraq policy ended with Iraq’s catastrophic invasion of Kuwait, followed by America’s invasion of Iraq and the divisions of the Iraq spoils between Washington and Tehran. Riyadh’s Syria-Lebanon policy saw Syria fall in Iran’s lap, Lebanese Prime Minister Rafik Hariri assassinated and Hezbollah crowned as Lebanon’s kingmaker and Iran’s regional cat’s paw. Because the kingdom’s foreign policy was primarily based on cajoling and mollycoddling others in order to win them over for lack of assertiveness and military muscle commensurate with the kingdom’s regional role and national interests. Labels: Assad, Hezbollah, Iran, Iraq, Israel, Jabhat al-Nusra, Lebanon, Obama, Prince Saud al-Faisal, Russia, Saudi Arabia, Shiite, Sunni, Syria, U.S.